Styled with rudko t-shirt and tie-front pant . 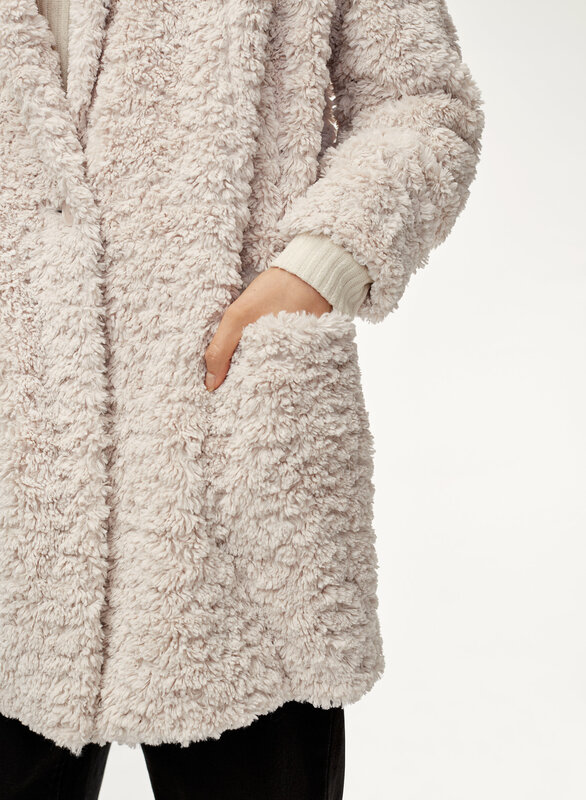 This jacket is made from cozy vegan sherpa with a luxe texture and high pile. The cocoon shape is a cinch to layer. Love this jacket! Fits just right. The only downside is that the sleeves are too short, which can be a little annoying. Love the colour! I have two now. I get so many compliments each time I wear this. Super easy to use and super comfy. Very pleased with warmth level as well. Make more colors!!! Love the way this jacket looks with jeans and dresses . 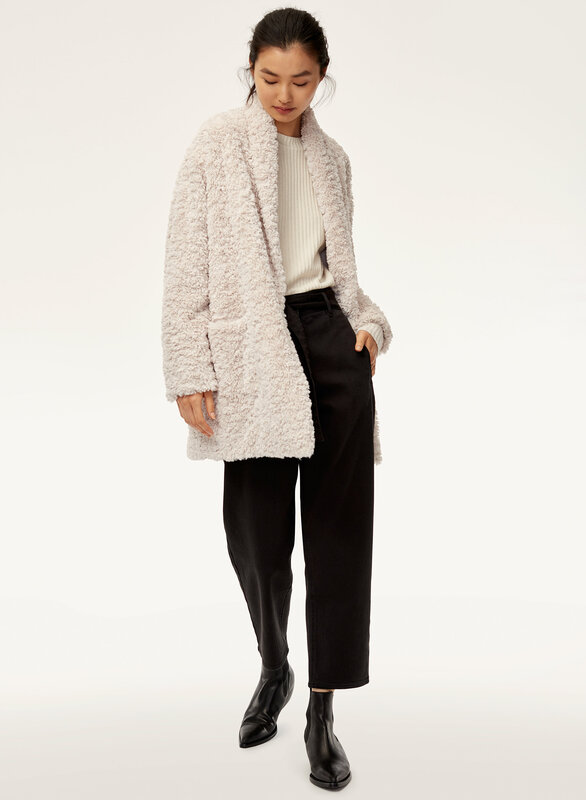 I absolutely love this Jacket, soft and very comfortable and is very stylish ... would definitely recommend this item !!! I had my eye on this jacket for the longest time and finally decided to get it and im so glad I did. I usually take a medium, but a small fits perfectly while still being slightly oversized. So very soft..great versatile color..lightweight. Beautiful have four of them -, totally amazing love them. Love this jacket. It’s so versatile and I’ve recieved several comments on how nice this looks on me. Would highly recommend this jacket! 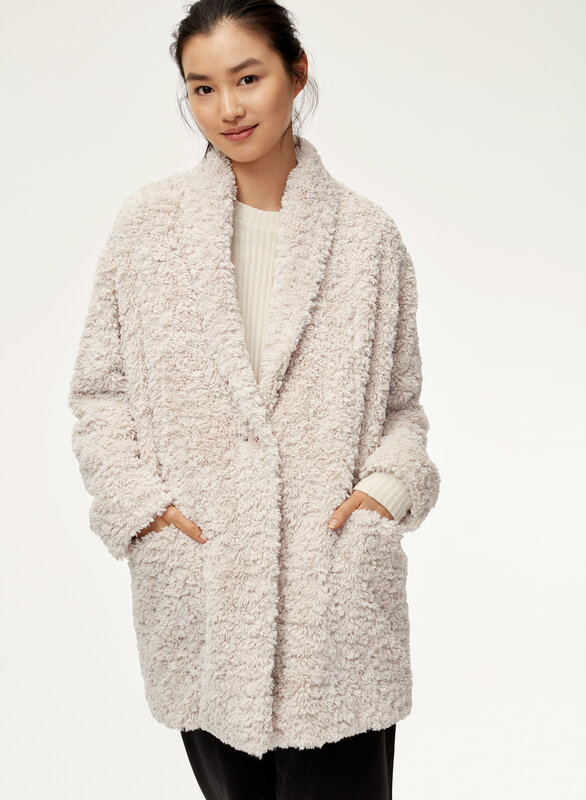 I love this coat so much! I was hesitant to buy it because it came with quite a price tag, but the quality is totally worth every penny. 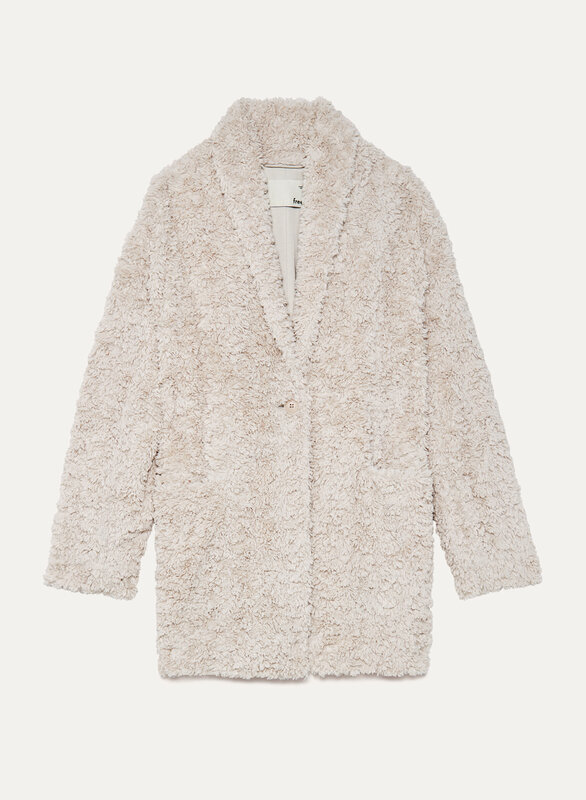 So soft and cozy. 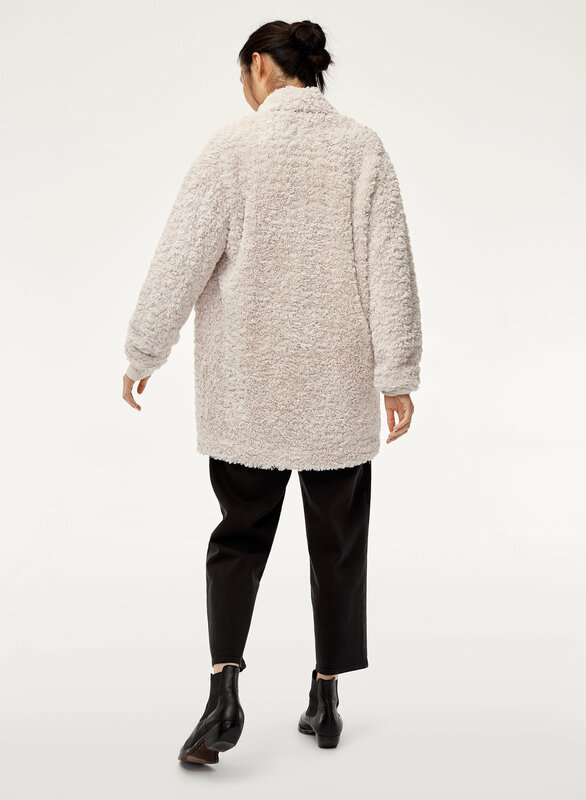 I do wish there was another button to close it further, but overall it's a wonderful addition to my fall and winter wardrobe. I've gotten so many compliments! This jacket is so comfy and warm. It was a great purchase. 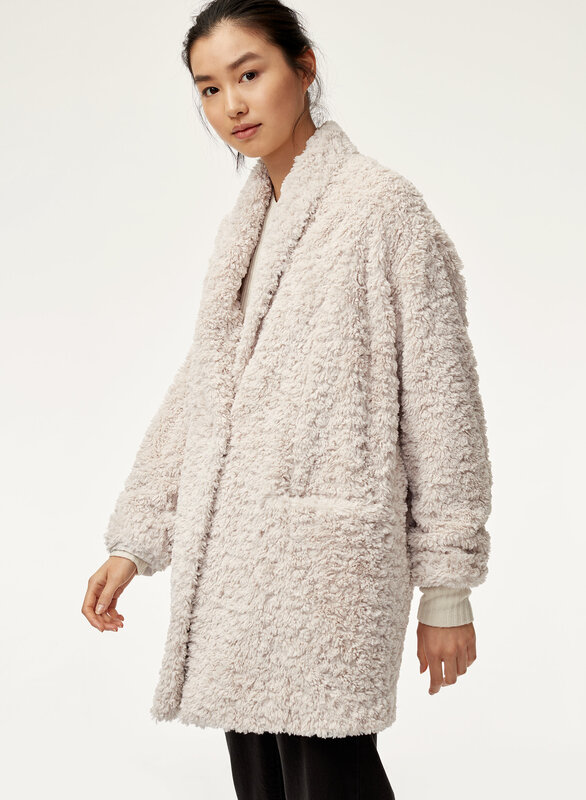 Was looking for a teddy bear coat that I could wear in the 45-60 degree fall months. This is a perfect length and weight. I might add one hook in the front so it closes even tighter. Adorable and comfy.